Ocean Atlantic Rentals is the official equipment rental provider of Village Realty! 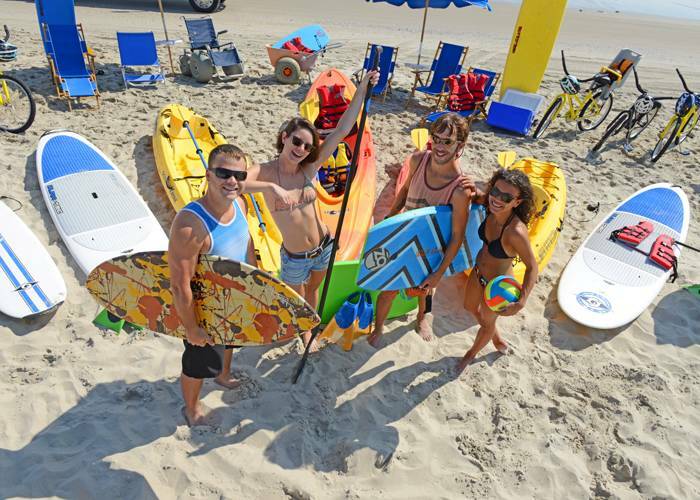 OAR rents bicycles for the whole family, beach umbrellas and chairs, grills, paddle boards, even baby cribs! They also rent beach wheelchairs, and just about anything else you can think of at one of their 3 locations. Delivery service is also available for qualifying orders. VIP Offer: $10 off your total of $75 or more!